Yes, we’re from North Korea! As a 1.5 generation Korean-American, two questions I get asked over and over are “Where are you from and where are you really from?” Upon hearing my answer as “I’m originally from Korea,” the next question follows “Are you from North or South Korea?” Almost all Koreans or Korean descendants living in the U.S. are from South Korea as it is exceptionally difficult to travel outside of North Korea as a North Korean. In fact, it is reported that there are just 186 North Korean refugees in the United States. “Refugee” is one of the only status markers North Koreans can hold to maintain any legal residency in the U.S. Compare that figure of under 200 to an estimated 622,849 South Koreans or people of South Korean origin. To start, South and North Korea are the only actively divided nations in the world. The Map of South and North Korea Image: Patrick Mannion. The infographic below displays some of the great differences and divergences between the two Koreas. Also, an article published in The Guardian, “South v North Korea: how do the two countries compare? Visualised” is a good starting point for finding out more about these countries’ dualities. So, you now understand that it is extremely difficult for anything associated with North Korea to be available in the U.S. 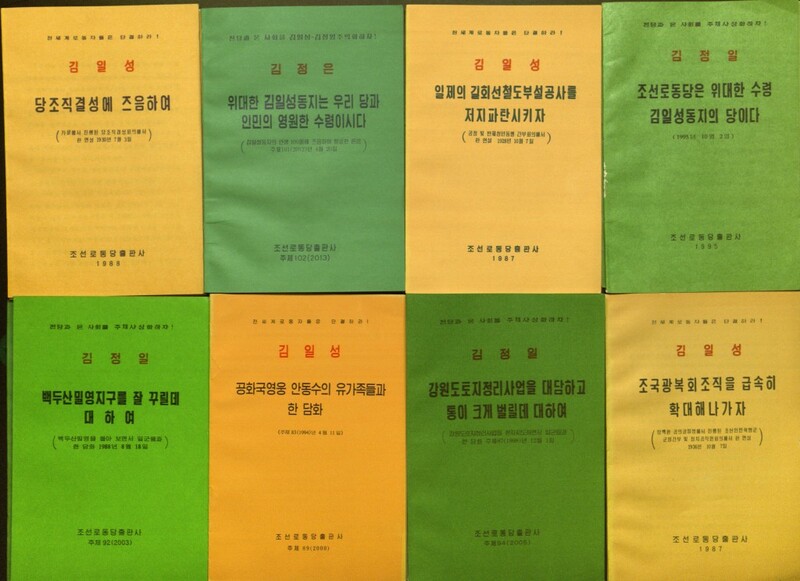 However, the collection of books I’ll introduce has been published in North Korea and was acquired by the University of Illinois at Urbana-Champaign Library. One of the most oppressive governments towards religion and civil liberties. 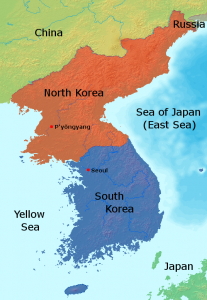 Since their divide in 1953, the two Koreas have taken separate paths. With opposing ideologies, the Koreas now differ in many aspects. The languages used on each side of the border have evolved and the economies have shifted, too. For these reasons, looking at South Korea to find more about the current state of North Korea may not yield much fruit. Because North Korea is effectively closed off to other parts of the world, research on current issues in the country and its people are extremely challenging. However, one can learn a lot about a country by reading its books. That is why our North Korean collection is important in researching 21st century North Korea. All of the books in North Korea are published by government agencies. By researching these print materials, one can get a glimpse of topics that were allowed to be exposed to the general public. Click the image below to browse through the entire North Korean collection housed in our library system. 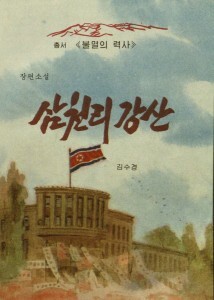 A lib guide for the North Korean Collection at the University of Illinois at Urbana-Champaign Library. Click on the image to browse the collection. Interested in how North Koreans view history? Browse through the North Korean history collection. The collection features various time frames from the Kojosŏn era to current times. The collection will help you get closer to what the people of North Korea accept as the truth and you can compare it with the historical timeline of the nation’s events. We cannot talk about the North Korean collection without mentioning the country’s leaders. The Kim Dynasty has been at the country’s helm ever since the birth of the nation. Do check out our collection of biographies and speeches given by these leaders. Literature is one of many communicative forms used to inculcate North Koreans, young and old, with particular political views of the government. North Koreans learn from an early age that protecting their country means fighting against U.S. and Western invasion. Some of the titles listed below tell heroic stories of the people of North Korea and its leader sacrificing themselves to defend their nation. 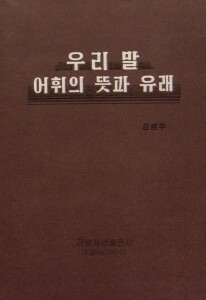 Suryŏng hyŏngsang munhak (수령 형상 문학) Literature for Shaping a Chieftain Figure from the University of Illinois at Urbana-Champaign Library. Sixty-two years have passed since the armistice was signed. Throughout those years, the language of the two Koreas have diverged. Although mutually intelligible, one can readily recognize the differences in accents and word choices. Many linguistic changes have arrived, especially to South Korea, due to globalization which has caused the gap to grow even larger. 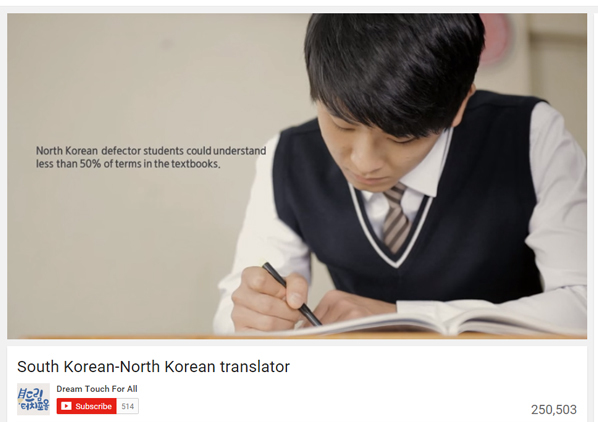 With the rise of North Korean defectors settling in Korea, language became one of the rising issues. Click on the image to watch the video. From the Dream Touch for All Channel on YouTube. As seen in the video above, software applications that bridge the gap between South and North Koreans have been developed. Also, numerous print materials that address the Korean languages are available throughout the University catalog. Cho, Chae-su. Nam-Pukhan Mal Pigyo Sajŏn: Chungguk, Yet Soryŏn Chiyŏk Tongpʻodŭl ŭi Uri Mal ŭl Pʻohamhan Pigyo ŏhwiron. Sŏul : Tʻodam, 1995. Print. Pukhan ŏhwi Sajŏn. Sŏul Tʻŭkpyŏlsi : Yŏnhap Nyusŭ, 2002. Print. 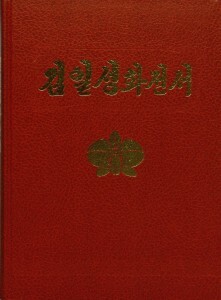 Yun, Ku-byŏng., eds. Pori Kugŏ Sajŏn. Kyŏnggi-do Pʻaju-si : Pori, 2008. Print. Ch’oe, Ch’ang-ho., eds. Chosŏnŏ Match’umpŏp P’yŏllam. 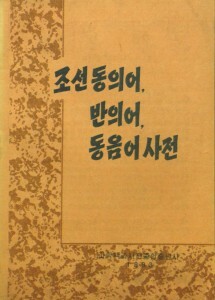 [P’yŏngyang] : Kwahak Paekkwa Sajŏn Chonghap Ch’ulp’ansa, 1994. Print. Yi, Hyŏng-t’ae.Yu, Ŭn-jong.Chosŏn Tongŭiŏ, Panŭiŏ, Tongŭmŏ Sajŏn. 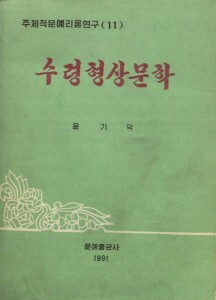 [P’yŏngyang] : Kwahak Paekkwa Sajŏn Chonghap Ch’ulp’ansa, 1993. Print. All areas of life in North Korea have their corresponding ideologies of the “Dear Leader” and government deeply embedded within them. One example appears in The Encyclopedia of Dendrobium Kimilsungia, Kim Il-song’s flower, which is also available in Chinese. 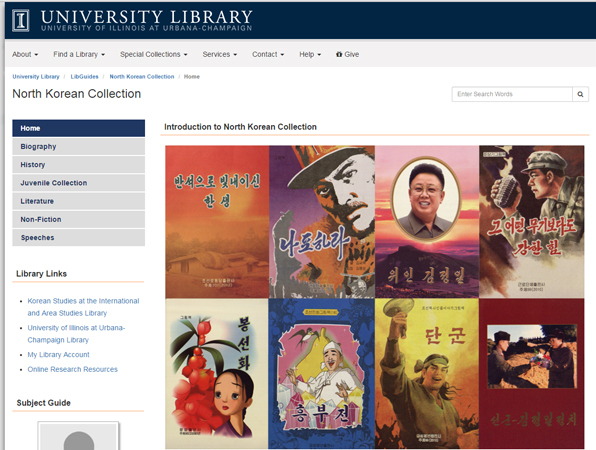 If you are interested in further study of the North Korean collection, feel free to contact the International and Area Studies Library at internationalref@library.illinois.edu. Also, for more posts like these, follow our Facebook page. This entry was posted in Culture, Language, Resources and tagged censorship, dictatorship, language, literature, North Korea, rare, South Korea by Audrey Chun. Bookmark the permalink.